AFRICAN AMERICAN REPORTS: 11 year old Shaun Stokes is missing! 11 year old Shaun Stokes is missing! The Savannah-Chatham Metropolitan Police Department is asking for the public’s help to find a missing boy who was last seen on Sunday, April 23. 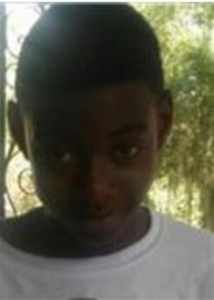 Shaun Stokes, 11, was last seen around 6:00 p.m. in the 7000 block of Leghorn Street. Shaun is described as a black male, four-feet eight-inches tall and weighing approximately 75 pounds. He has black hair and brown eyes. He was last seen wearing a blue plaid shirt, tan pants, and white Nike sneakers. Shaun is known to frequent the 2100 block of Dodge Avenue and the 400 block of Mall Boulevard. He also has family in Rincon, Georgia.